While your hearing aid is a great resource for enjoying warmer days of weekend getaways, days at the pool, and plenty of time in the sun, it may require a little more TLC in the warmer months to keep it dry. With the worst of winter weather over for the year, it is finally time to start thinking about spring and summer. 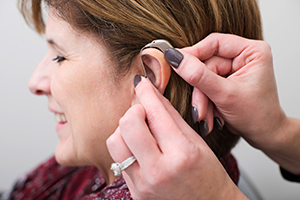 While your hearing aid is a great resource for enjoying warmer days of weekend getaways, days at the pool, and plenty of time in the sun, it may require a little more TLC in the warmer months to keep it dry and protected. If you are heading out for a vacation or a day trip to the beach in the coming weeks, keep in mind the basic protective measures that your hearing aid may require in the upcoming months. Your hearing aid shouldn’t keep you from missing a fun day at the beach, however, it will require extra care to keep it dry. If you love to swim in the waves, be sure to remove your hearing aid before any water activity to ensure that it stays dry and working properly for the rest of your day. It is also important to protect your hearing aid from other forms of moisture such as sunscreen, so be sure that your ears are dry before putting in your hearing aid again. Once you are home for the day, it is also important to air your hearing aid out by opening the battery door to prevent moisture buildup over time. While removing your hearing aid is the best way to protect it from moisture, there are other options to keep your hearing aid safe when you may be exposed to moisture but are not swimming. Consider using a protective hearing aid cover to wear when you are sweating or exposed to other forms of moisture to keep your hearing aid safe from damage and your ears free of any potential infections. You can also ask your audiologist about other accessories that may work better for you and your summer activities such as spending time on the water, biking, or running.